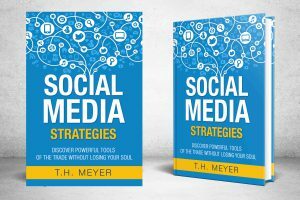 History, Mystery and Faith is pleased to be tour stop number four for T.H Meyer's book Strategies of Social Media: Discover Powerful Tools of the Trade without Losing Your Soul. Grab a "cuppa" and take a few minutes to read my review of this excellent book. For many small business owners, the use of social media is a gift and a curse. It is a gift because it can create opportunities to interact with customer on a personal level; educating them, relating to them, and frankly, selling to them. Social media is also a curse, because it can become yet another task on an already bulging to-do list, not to mention the drain on precious time. In addition, for those less savvy computer people, learning to use social media effectively can prove difficult. New terms and concepts combined with constantly changing rules and interfaces may be daunting for some individuals. As a result, the market is flooded with books, blogs, and websites touting to be the “latest and greatest” subject matter expert. However, many of them are iterations of information found on any number of sites, simply packaged with that particular author’s spin. In her introduction, Social Media Strategies author T.H. Meyer indicates that the book is derived from her struggle between the negative and positive impacts of social media. Her aim is to equip readers with “technical knowledge to optimize your online efforts while also receiving encouragement for your soul in the same text.” She exhorts readers that “You control social media. Not the other way around.” Sound advice! I was late to the digital age. I didn’t operate my first computer until I was out of college, and only joined the ranks of social media users when I realized it was the best way to stay in touch with nieces and nephews scattered across the world. My author page has only existed for the last few months, so I’m in desperate need of help. I’m not someone who likes to read the manual in order to learn how to do something, so I approached Ms. Meyer’s book with some trepidation. Would it be yet another rehash of the same tips and techniques? Would it be dry? Would it be difficult to understand? Social Media Strategies is none of these. The information provided is fresh and insightful. The book is written in a conversational style and laid out in an easy-to-follow format. Users can read it front to back or cherry-pick the particular chapter needed. Terms and concepts are defined, and the electronic version includes links where readers can access additional information or resources. At the end of each chapter, a section entitled “Navigating Soul-Care” exhorts readers about their spiritual well-being with a devotional style narrative that is tied to the topic at hand. This is a highly recommended go-to resource for those looking to master the mysteries of social media. About the Book: In our current world, the internet puts every entrepreneur and creative artist smack dab in the middle of social media and marketing. With an online tsunami of informational how-to's, deciding which methods work best challenges the best of us. Social Media Strategies: Discover Powerful Tools of the Trade without Losing Your Soul uncovers the most relevant techniques, skipping unnecessary fluff by going straight to up-to-date tactics used by experts. Inside these pages, a wealth of simple, savvy tricks aids understanding of things like SEO, Facebook algorithms, top performing platforms, and key ingredients for engagement. You'll also have a treasure trove of links, templates, time saving applications, and what's projected to change in cyberspace so you can stay ahead of the curve. However, your worth is not the sum of hard numbers. No longer do you have to feel depersonalized by ranks and formulas. T.H. Meyer combines trending social media content followed by encouraging words that redirect your soul to God. In the right hands, social media is a powerful tool for entrepreneurs and small businesses or any person with a message to share. About the Author: T.H. Meyer's writing has been featured in online magazines such as C'est La Vie: THE MAGAZINE and The High Calling along with guest posting for Amber C .Haines, Jennifer Dukes Lee, and at The Gift of Writing to name a few. Besides her current employment as a social media manager and content writer, she founded Outside the City Gates and worked as a creative director for the Sunday Circle Group, a worldwide collaboration of talented artisans, poets, photographers, speakers, and writers. She lives among Rye pastures on a farm in east Texas, far removed from big-city slickers. On any given day, eight resident ducks waddle under her bedroom window and quack like dogs ready to eat.. Her favorite pastimes are family, writing, juicy in-depth conversations, and unsweet tea. 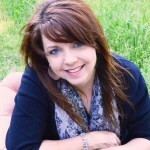 Connect on her blog Fear Not: Infusing Courage into Your Gifts & Talents, Facebook, or Twitter.